Field Result Date to Sample Date is an option that sets the field result date to match the sample date. 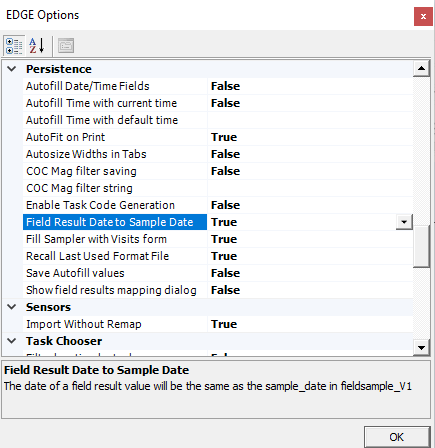 On the EDGE Options Menu, scroll down to Persistence, then select Field Result Date to Sample Date. By default, this option is set as False. To turn it on, toggle it to the True setting. 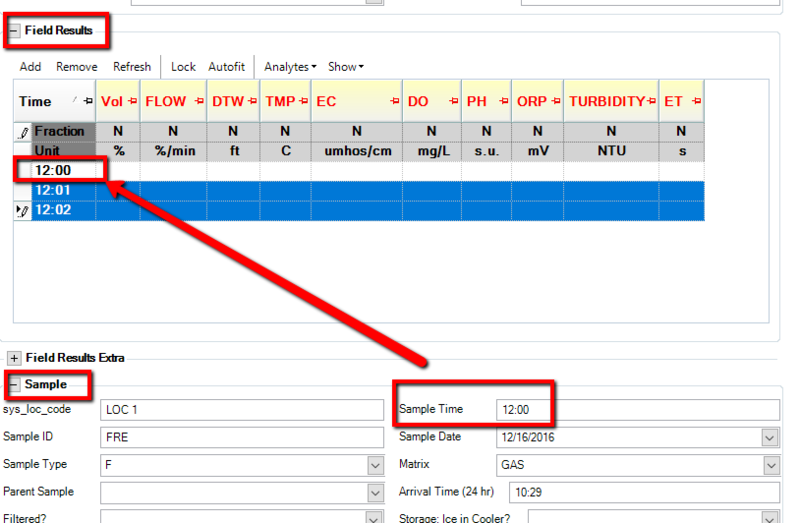 In the Field Results section of the FieldSampleForm, the time in all added FieldResults rows will be the same time as the sample_time. The date will also be the same as the sample_date. Note: If there is already a Field Result row containing the sample_time, a minute will be added to the time of the row. No field result has the same time.